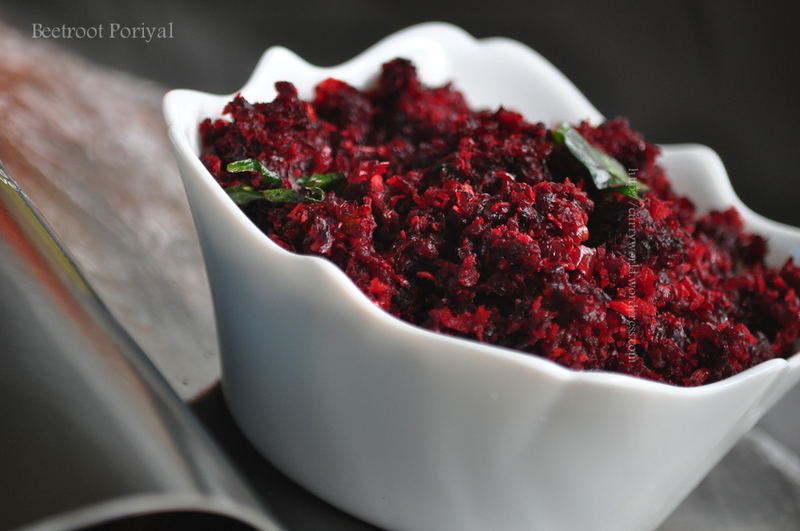 If u have chopper u can chop into fine pieces ..
Cook beetroot in a cooker along with water and salt …mostly 3 whistle is enough. 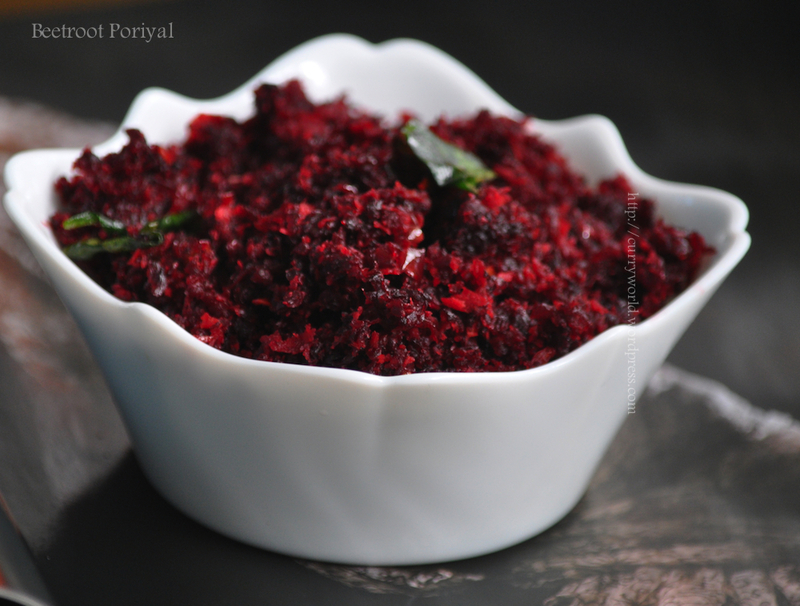 In a bowl add grated beetroot along with salt and water . Close the bowl with a tight lid and cook for 15 minutes and then open and stir well ..
Cook for another 5 minutes with out closing ..
Open the cooker after 5 minutes.. . In between crush small onion and dry chilli flakes together ..
Heat oil in a pan ,sauté onion -chilli mix along with curry leaves.. 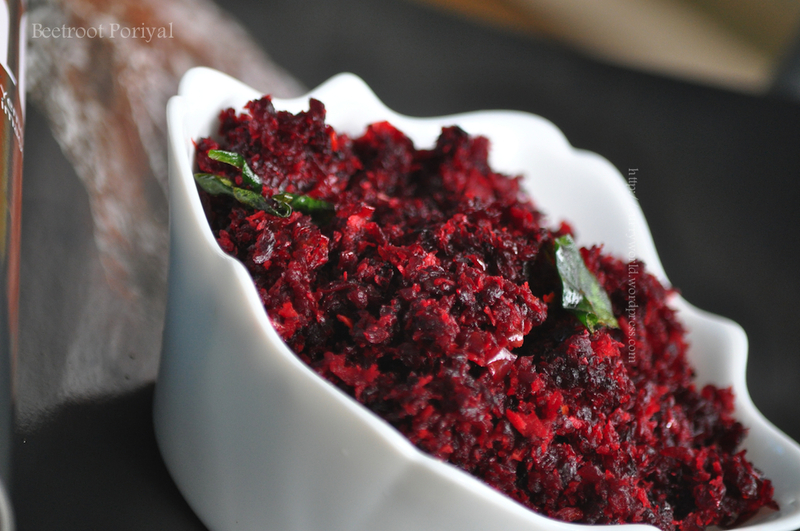 When the raw smell goes add grated coconut and sauté for 2 minutes ..
Then add cooked beetroot and sauté until the mix becomes dry ..